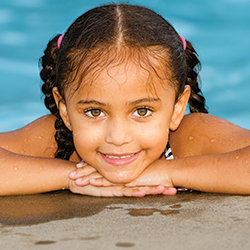 There is no doubt the water provides a very special experience for young children. The weightless environment of the water gives them a great place to exercise their young muscles while having fun and learning to swim. 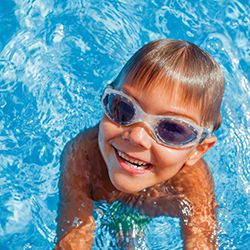 Additionally, researchers have now proven that early swimming lessons actually gives children a head start in academics! Read more here. At Salem Swim, we teach each child with a gentle and encouraging approach recognizing that every child is different and has different needs. 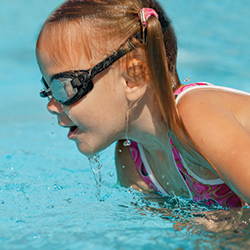 Our lessons are taught using fun themes and games at a pace that builds confident swimmers. Our priority is to teach children to swim well, and to love and respect the water. What is the right level for my child? 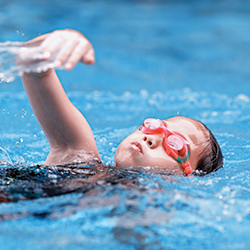 In this advanced beginner class, students begin to move through the water by themselves, learn to float independently on both their front and back, to retrieve objects from the bottom of the pool, and more.